Need reasons for OpenRepGrid? Go ahead! 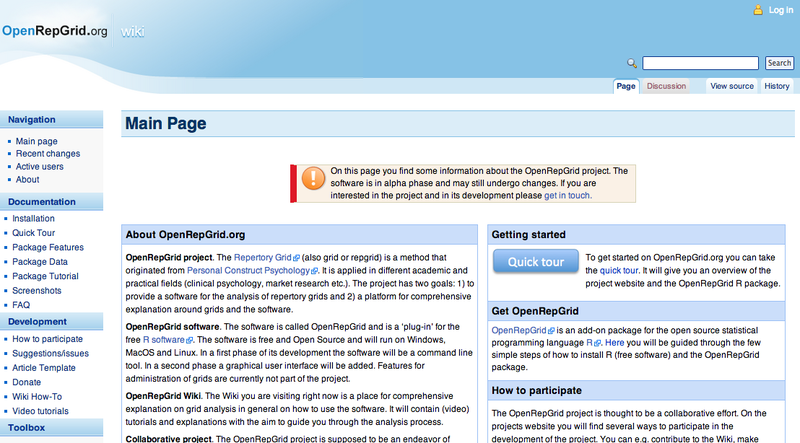 OpenRepGrid centers around software for repertory grids, a qualitative-quantitative research technique used across various domains from clinical psychology to marketing. Here, you will find open source software developed by repertory grid enthusiasts to facilitate the administration and analysis of grids. You have feature requests, questions or suggestions? Visit the OpenRepGrid discussion site. Open Source projects live from contributions. You want to join in? Get in touch! 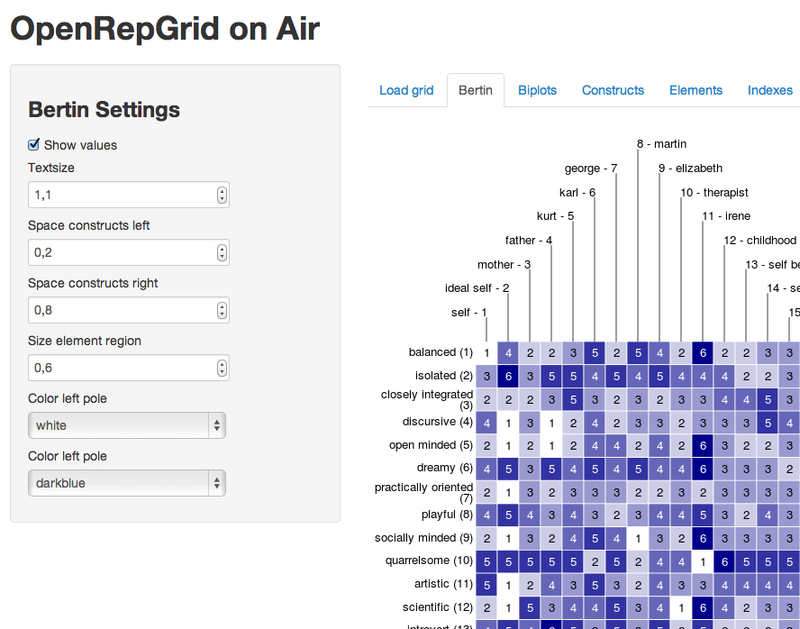 The OpenRepGrid R package is a tool to analyse repertory grid data. Use it for all kinds of calculations and visualizations. It is a social software project. Feel free to join in! The OpenRepGrid wiki is a site for the community to write about grids. It is kept here for documentation purposes only as it has been replaced by this site. 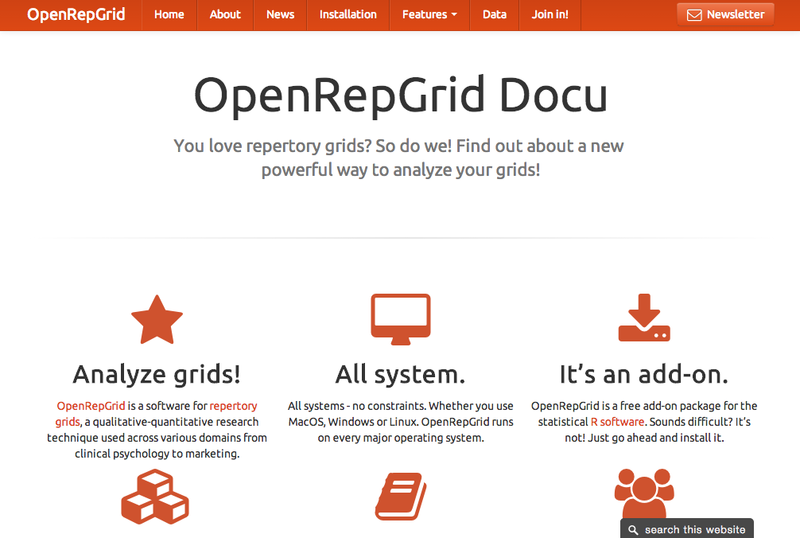 OpenRepGrid onair is a web based software to analyze single grids. You can create plots, calculate indexes and generate reports. Give it a try! 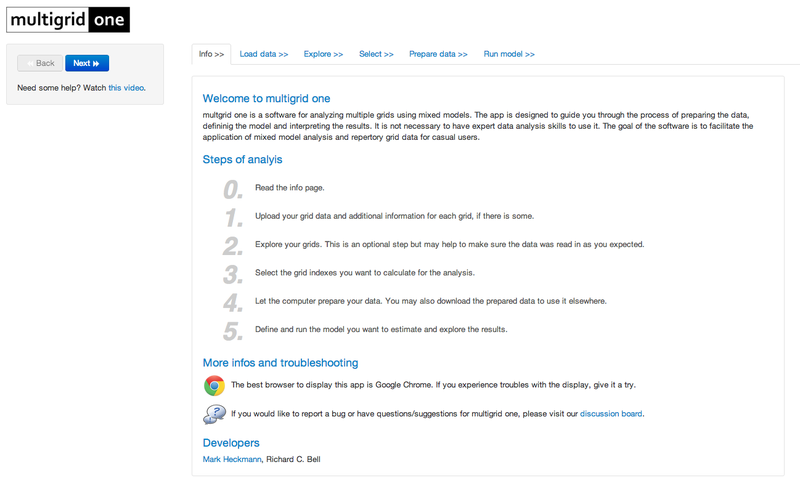 multigrid one is a web based software to facilitate the application of mixed models for repertory grid data. 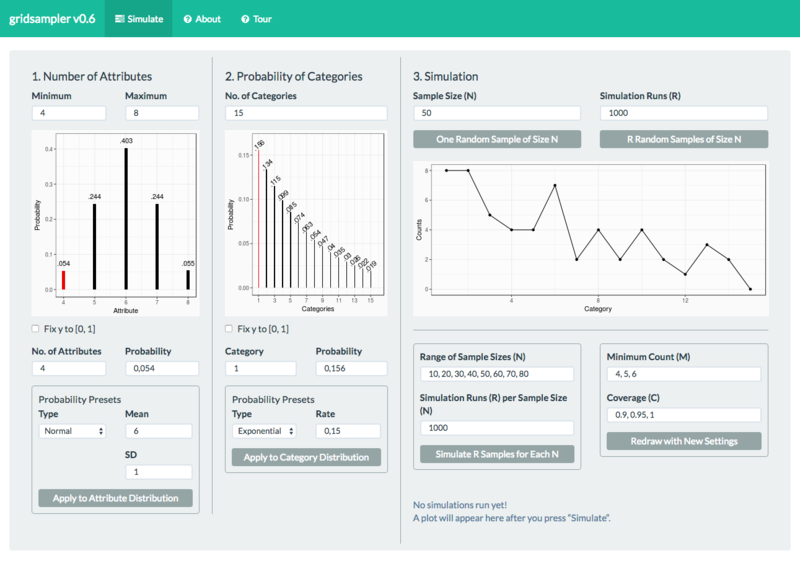 The gridsampler software helps determining the required sample size for multiple grid studies. It is available online and as an R package on your desktop. Design borrowed from the marvelous bootstrap2 landing page. Code licensed under Apache License v2.0. Glyphicons Free licensed under CC BY 3.0. All content on this site is licensed under CC BY 3.0.